Hardly seems a month has passed since arriving at the San Francisco Golden Gate Bridge. Everyone is now back to “normal”, and in the final stages of catching up. Going through the hundreds of photos taken as we crossed the US brings back a lot of special memories. The following are just a few of those captured moments. 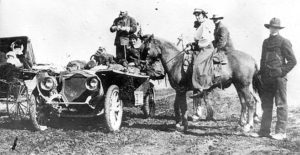 We also want to add our sincere thanks to all the wonderful people along the way who have helped make the 110th Anniversary Celebration of the 1908 NY to Paris Race possible! 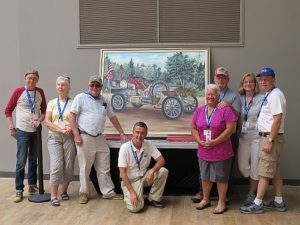 Their time and effort is preserving an important part of early American Automotive History for future generations! 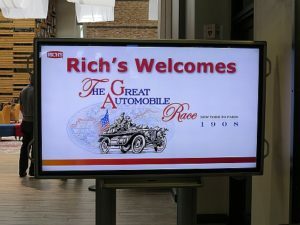 Our welcome at Rich’s with their world Headquarters located at 1200 Niagara St. Buffalo, site of the E.R. Thomas Company builder of the Thomas Flyer. Teams gather at Rich’s with a painting of the Flyer! 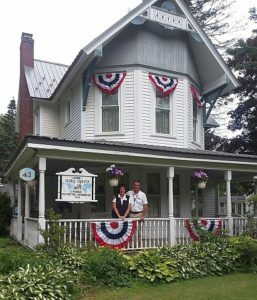 Welcome at the Concord Historical Society in Springville, NY. 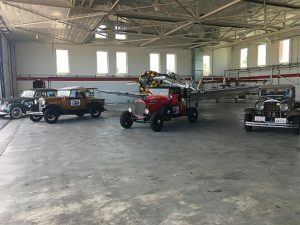 Featured exhibits in the new Heritage Building include a life-sized recreation of George Schuster’s Dodge Bros. dealership, and the extensive 1908 NY to Paris Race collection. George’s Springville home with Great Grandchildren Jeff and Jenny on the front porch. 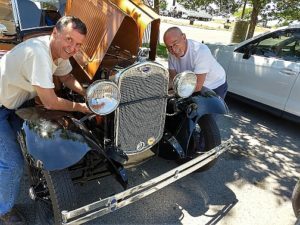 The 90 year old vehicles held up surprisingly well, with only minor repairs on the 3,500+ mile journey. Gov. 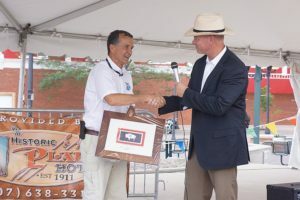 Matt Mead welcomes our group, and presents Jeff with the Wyoming State Flag. 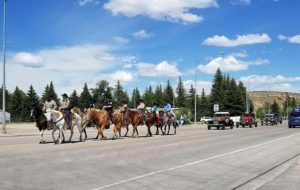 Unita County Sheriff’s Mounted Patrol escorts our cars into Evanston, WY just as cowboys (and cowgirl) did in 1908. 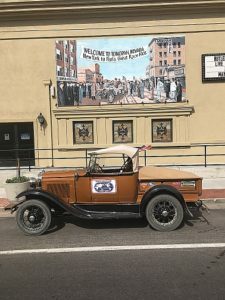 Tonopah, NV movie theater has for decades featured a mural of the arrival of the Thomas Flyer March 20, 1908. 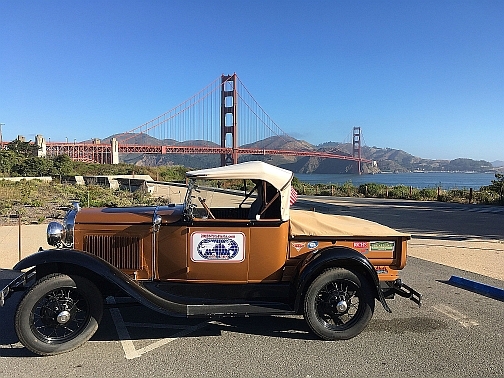 ← Day 17 San Francisco – We Made It!